For my taller ladies with a slimmer figure accentuated with mild curves this is your section. Height 5’7 and above, this guide will show you some styling tips for displaying that “On Fleek” figure. Do not shy away from showing your height. 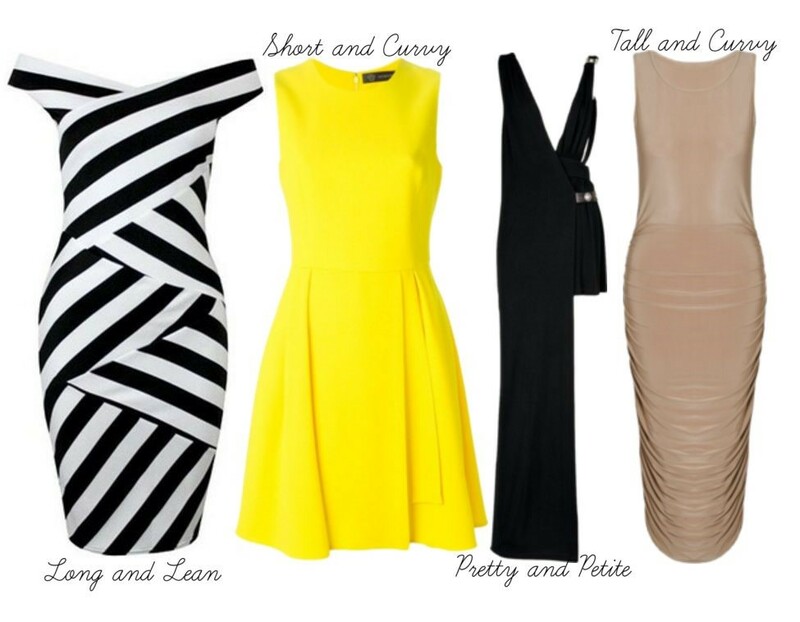 Midi dresses look great on long and lean bodies. Show off those legs but keep the masses guessing! Straight maxi dress and ball gowns are also great for your figure. They hug the right areas of the body and put your figure on frontstreet. Patterns are a great addition to these looks. You have the perfect body to pull off a bold prints and colors. Stay away from simple monotone dresses. They can come off as boring on your shape. Look for materials or details that hug your shape. Enhance your curves without hiding them! If you want to wear a solid color dress, jazz it up with a statement necklace or shoe! Need celebrity inspiration? Think Ciara, Kelly Rowland Rihanna and Keri Hilson. These fabulous ladies are always dressed to the 9s. This section is for ladies with an overall small stature. You can wear any shape dress. From A-Line to H-Line, your body frame is small enough for any shape. The key to pulling off the dress for petite women is in the tailoring and styling. Make friends with your local tailor. Many dresses, even from the petite section will not be accurately measured for your small frame. Make sure to get your dresses hemmed to the perfect length for your height. Some key pointers in dress shopping is to look for dresses with cutouts around the stomach area. These breaks in the dress will help you appear longer. Also, go for shoes without ankle straps. An ankle strap cuts your leg in half. For celebrity style inspiration think Jada Pinkett-Smith, Teyana Taylor, Eva Longoria and Janet Jackson. Just like the short and curvy girls, do not discriminate your curves to one area of your body. Whether you have a little belly or a bootylicious bottom, every aspect of your curves are amazing. Taller curvy girls have similar guidelines as the short curvy girls with a few exceptions. A longer woman with tantalizing curves can pull off many of the louder maxi dresses the shorter girl cannot. There is more height to offset the pattern of the dress. Want some celebrity fashion inspiration ? Check out Monique, Nene Leakes, Queen Latifah and Wendy Williams! Did you find yourself identifying with more than one category? Do not think that it is because you do not know your body. In fact, you know your body so well, you understand that you fit in more than one category. So here’s the sitch: Follow every guideline. I know this may seem like a lot but it is simple. Choose which feature you want to accent and follow the rules set. For example, to show off your wonderful sometimes short, sometimes tall height, choose some of the rules that help the tall girls pop! For celebrity inspiration think Beyonce, Jennifer Lopez, Taraji P Henson and Megan Good. Each lady could fall into more than one category above. The number one accessory for matching the perfect dress to your shape is confidence. After getting dressed, stand in the mirror and admire your shape. Embrace every flaw that makes you flawless.